Out at the very edge of Europe, on South West Ireland’s wild Atlantic seaboard, the Ring of Kerry circles the Iveragh Peninsula. The Ring of Kerry Cycle Route is in an area known throughout the world for its archaeological treasures, breathtaking scenery and charming hospitality. The route travels along quiet country roads where possible and passes through all the main towns and villages along the way. With the highest mountain range in Ireland as a backdrop to our RING OF KERRY CYCLING holiday the world famous Ring of Kerry traces the coastline of the Iveragh Peninsula encompassing Muckross, Killarney National Park, historic Derrynane and the picturesque villages of Sneem, Kenmare and Glenbeigh. The Ring of Kerry abounds in natural wonders and the beauty and grandeur of the scenery is unsurpassed by any in Ireland. Starting in the town of Killarney – made famous by the magnificent “Three Lakes of Killarney” the “Ring” then continues anti-clockwise through Killorglin, to Caherciveen, on to Waterville and Sneem before returning to Killarney. 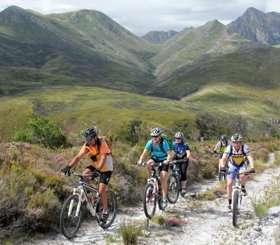 We, however, find this route to be “over-run” with tourists and therefore unkind to cycles – so for that reason – we suggest a much more leisurely and quieter mix of inland and coastal routes to give just the same beauty and splendour – if not more.